Martha Stewart is the queen of home living. She has a new wine service that all wine drinkers are dying over and she even is launching a new clothing line and skin care line! 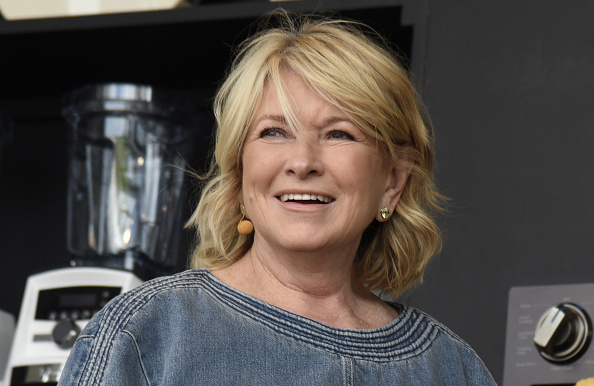 And now, Martha Stewart talks about her dating life! In an interview with Town & Country, Martha got really personal. She talked about how it’s hard for her date, and also her favorite late night snack! The worst part about that snack? Well, she kind of steals them from her housekeeper. In her defense, she did have an otherwise lackluster snack (according to her). Other than stealing slices of cheese, Martha only eats a scoop of peanut butter. When you think about it, that’s not a terrible night snack. Many of us fall victim to the enticing allure cheese late at night and even those little slices of Kraft American cheese in the plastic get us. So Martha isn’t that bad with her choices. What’s bad is that she takes it from her housekeeper’s drawer. Of all the things that Martha could do, she steals some slices of cheese from her housekeeper? Maybe she knows that if she bought them herself, she’d eat them all. In the same interview, Martha went on to talk about Snoop Dogg, and what was the most surprising part about him. She said, "He has an intense sense of loyalty to the people he works with, to his friends — he has an amazing number of friends. He stands up for what he believes really strongly." So while Martha’s love of American cheese and her adoration for Snoop Dogg are relatable, the most interesting part about her is that she’s just like us! Meaning, she also has relationship and dating woes. She admitted being too busy to casually date. And, honestly, can’t we all relate? So maybe just don’t steal your housekeeper’s American cheese slices. But at least you know you don’t have to feel guilty about those late night snacks.